In their latest blogpost, Skype announced a new version of its desktop client that supports Facebook-to-Facebook video calls and other enhancements like smoother video rendering and group screen sharing for Windows users with a Premium subscription. 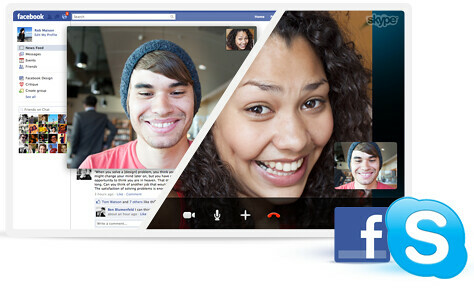 Users who are chatting one-on-one will also be able to screen share with live video streaming. Today we are thrilled to announce our partnership with Facebook has reached yet another milestone with the launch of Skype 5.4 Beta for Mac and Skype 5.7 Beta for Windows allowing you to conduct a Facebook-to-Facebook call from within Skype. This new development in the Skype-Facebook partnership is the latest example of how Skype is removing communication barriers and making it easier to connect with friends, family and business colleagues. Our approach to social is about personal connections with people. We are on a mission to connect over one billion people and our continued partnership with Facebook brings us one step closer to this goal. You can get Skype for Mac here and Windows here.